Autistic Spectrum Archives - Pride Learning Co.
Autism Spectrum Disorders include difficulties with nonverbal communication, socialization, and empathy. Children diagnosed with an autism spectrum disorder have difficulty understanding what other people are saying, need help playing with other children, thrive on routines, and find unfamiliar situations difficult. Symptoms in these children can range from very mild to severe social and cognitive delays. This disorder is not necessarily associated with any reading disabilities, but many children with autism struggle with reading difficulties due to language delays. Autism is a complex developmental disability that typically appears during the first three years of a child’s life. A child with autism will process and respond to information in interesting ways. Although some children can function at a relatively high level, many children with autism have serious cognitive impairments or intellectual disabilities, and some never gain the capability to speak. A child with autism may seem closed off and shut down or locked into repetitive behaviors and rigid patterns of thinking. They might avoid eye contact and resist physical contact, such as hugging, or may have frequent temper tantrums or remain fixated on a single item or activity such as spinning objects. Also, sensitivity to pain could be higher or lower than typical. The severity of autism can vary, ranging from mild to severe. Children with mild to moderate symptoms are considered “high-functioning.” Two children may share the diagnosis of autism, but behave very differently and have very different skill sets as well as abilities. Children diagnosed with Autism often struggle in reading and writing skills. These children might have poor phonemic awareness abilities due to the auditory processing problems, which are common in children with ASD. Receptive language problems may also be present in these children. If you can’t hear the sounds, you can’t say the sounds and finally, you can’t read the sounds! Hyperlexia is a condition where a child demonstrates an early and intense fascination with letters, numbers, patterns and logos, and a self-taught gifted ability to read, spell, write, or calculate, usually before the age of five. At the same time, these children have major difficulty understanding and using oral language skills, as well as socializing and interacting appropriately with people. Although the early achievement of reading ability makes hyperlexia seem very different than a reading disability, both conditions are rooted in difficulties with understanding and using language. A child diagnosed with hyperlexia is often highly intelligent, learning best from visually presented information. This child can easily manipulate and understand written symbols for language and concepts, and decodes and encodes quite well. They also can read very fluently. 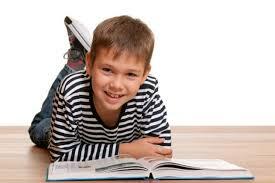 Children diagnosed with hyperlexia usually read well but struggle considerable in the area of reading comprehension. Specific comprehension strategies need to be taught to these children including summarizing, making inferences, finding the main ideas, visualizing while reading and understanding and learning new vocabulary.